The exercise mad actor's intense daily workouts have taken their toll on his body and left him with injuries in both Achilles tendons and a bruised big toe. After a gruelling 10 km run, the 'Les Miserables' star found himself needing Platelet rich plasma (PRP) injections to fix the muscles in his feet. He wrote on Twitter: "Jolly old morning. PRP injections in both Achilles tendons & one big toe ... I am replicating tendon as I tweet...brand new soon, no w/o 2day." 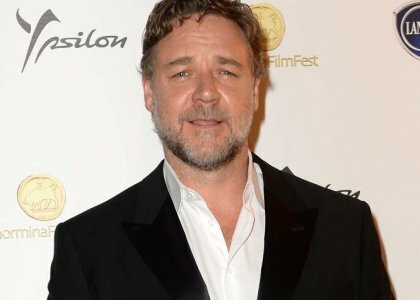 Russell's fans were quick to express their support, telling the actor to take it easy in future. One follower joked: "You're getting old. It happens." While another sympathised writing: "Ouch. Sounds awful, hope you're good as new soon." Russell - who is estranged from his wife Danielle Spencer - regularly shares his daily workouts with his followers and is constantly trying to push himself harder. Mere days beforehand, the 49-year-old star posted: "4km walk. 20km stat bike (15 km/30min). 3 x[sh 11 ex/10 reps,kb 10 reps goblet/swing/oh,20m military crawl] ,3 x[10 reps x 60 kg ben/pec/row] (sic)"